We’re proud to announce our theme for 2018 – Trail Stewardship: Leaving a Lasting Legacy. This initiative builds on our 2017 theme – Community: Building Trail Running Connections. One of the keystones of this year’s theme is the land on which we run. Education will continue to be a primary focus for us at the American Trail Running Association (ATRA). Providing useful tips through instructional videos and articles written by experts will offer ways to connect and engage our community. We will launch a new inspirational series of articles this year entitled, A View from the Pack. 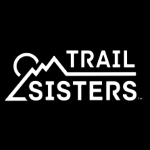 This program will recognize and celebrate core trail runners who have dedicated themselves as everyday athletes to grow trail running as a community, as well as stories from race volunteers – incredible stewards in their own right. 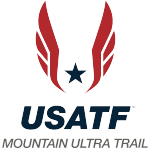 These programs will be added to our growing portfolio, which includes the Event Standards Program for race directors, a monthly email newsletter, a monthly race director email newsletter, a quarterly newsletter Trail Times, Trail Running Camp Standards, Trail Towns, and the recently announced Event Liability Program – T.R.I.P. We’ll also add a new level of membership in 2018, Legacy Membership. For a minimum investment of $1000, legacy members will have a lifetime membership with ATRA. All donations at this level are 100% tax deductible. Stay informed with timely stories on our Trail News section of trailrunner.com, our Facebook Page, YouTube, Twitter, and Instagram. 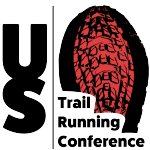 And, be sure to join the ATRA team at the 6th US Trail Running Conference, August 29-31, in San Luis Obispo, CA. “We ask you, our community, to spread the good work that ATRA is doing, and contact us with your ideas to help build connections with individuals, groups, events, and corporations,” said Hobbs.